Matt Ellwood's satirical, appropriation based art practice employs the various languages and systems of advertising, merchandising, and interior design as abundant resources for sculptures, drawings, and digital image interventions. These paradigms are utilized in a playful, but equally perverse way to subvert the ideological master discourses underpinning the relationship between profit and desire. His recent sculptures are often constructed out of industrial materials such as plywood, high density foam, fiberglass and resin. These all have a high degree of craftsmanship, and are unique pieces that challenge their ubiquitous and mass produced origins. His drawings are equally crafted in their high degree of finish, and are predominantly large charcoal pieces that replicate and conflate advertising campaign imagery. Both utilize their materiality as a seductive visual entry into the work that is then often counterpointed with deliberately less celebratory content. Born in Wellington, 1973, Matt Ellwood gained his BFA from the Elam School of Fine Arts, University of Auckland, in 1996, and went on to graduate with a PgDip in Teaching in 1997. After four years of running a high school senior art department he went back to post graduate study at Elam and graduated in 2003 with a Master of Fine Arts (1st class honors). During his time as a Masters student, he was awarded the Vice Chancellor's Scholarship for Outstanding Achievement and was included in Break - the Govett Brewster Gallery's biennial review of contemporary NZ art. He has exhibited widely in New Zealand and Australia as well as internationally and is included in publications such as Warwick Brown's 'Seen This Century' a collector's guide book, 2009. He is also included in The Drawing Center NYC's online viewing program. He has been the recipient of the Wallace Trust Development Award (2004) including a 3 month studio residency at the International Studio and Curatorial Program in New York and the Wallace Trust Kaipara Foundation Award (2011) including a 3 month studio residency at the Altes Spital cultural center in Solothurn, Switzerland. Matt Ellwood has continued to live in Auckland where he is now the Head of Fine Arts at Whitecliffe College of Arts and Design. 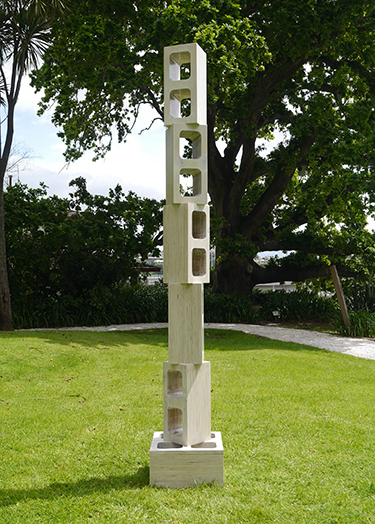 He is represented in New Zealand by Melanie Roger Gallery, Auckland.